Choking is a form of suffocation/asphyxia due to obstruction of the respiratory airway. It is caused by inhalation and/or ingestion of a foreign object that partially or completely blocks the airway, the entrance to the trachea - respiratory passage - usually between pharynx and bifurcation of trachea. Choking is a very dangerous life threatening medical situation which leads to respiratory suffocation and if not addressed "promptly and appropriately" in cardiac arrest. 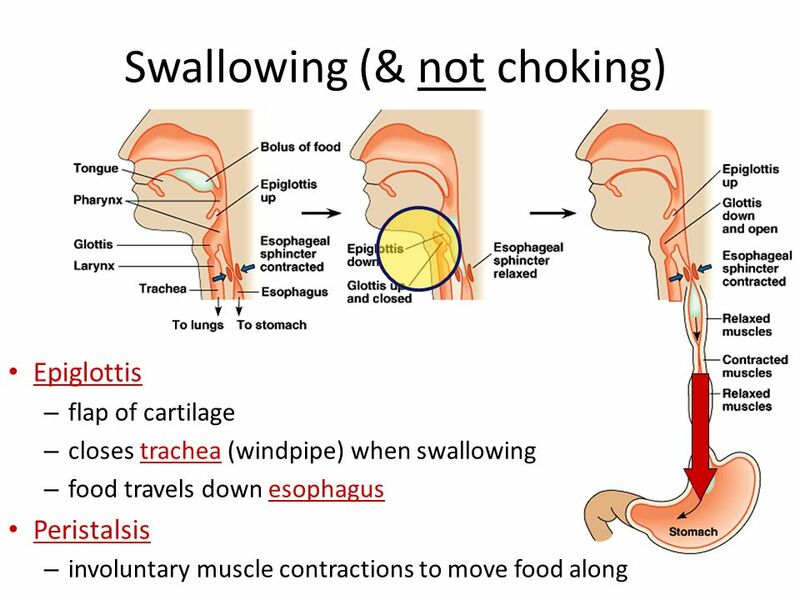 Partial Airway Obstruction: If airway obstruction is partial, the victim if not panicked, especially if it is an adult, can cough and expel the foreign object without assistance and/or medical care. Complete Airway Obstruction: If airway obstruction is complete, usually occurs when a foreign object is inhaled and becomes stuck (like a cork) between the vocal cords, and regardless of the age of the victim, particularly in case of children and elderly people, removal of the foreign object is impossible without assistance and/or medical care, leading the victim not to be able to breathe. Breathing is an essential part of life. When we inhale, we breathe in a mix of nitrogen, oxygen, carbon dioxide, and other gases. In the lungs, oxygen enters the bloodstream to travel to the rest of the body. Our bodies use oxygen as a fuel source to make energy from the food we eat. Carbon dioxide, a waste product, enters the bloodstream and travels back to the lungs. When we exhale, we breathe out carbon dioxide, nitrogen, and oxygen. When someone is choking with a completely blocked airway, no oxygen can enter the lungs. In this case Choking requires fast, appropriate action by anyone available. The brain is extremely sensitive to this lack of oxygen and begins to die within four to six minutes. It is during this time that first aid must take place. Irreversible brain death occurs in as little as 10 minutes. Emergency medical teams may not arrive in time to save a choking person's life. Although the majority of choking occurs in the very young and the elderly, no one is totally immune, not even healthy young adults. Swallowing is a complex action that most of us take for granted. A sudden gasp and a foreign object can be inhaled. Nothing is for granted! These facts are proven and recorded by many independent international organizations and agencies all over the planet. According to the World Health Organization (WHO), Choking is one of the five leading causes of unintentional injury death. 60% of the cases in children are caused by food related hazards, with the respective figure for adults to be around 85%. 30% of the cases in children are caused by non-food related hazards like plastic and small metal parts, coins and toys, with the respective figure for adults to be around10%. 10% of the cases in children are caused by other causes, with the respective figure for adults to be around 5%. 400 children (14 years or younger) die from choking. 50.000 children (14 years or younger) have a choking episode. 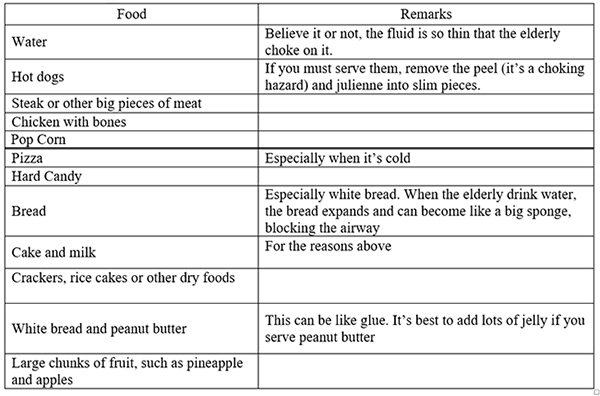 3.000 adults die from choking on food. 280.000 adults have a choking episode. Especially for Hot Dog, in the same report, there was an extend notification as 17% of the Choking cases, for children under the age of 10, were caused from Hot Dog. As it is reported the shape and the diameter of a Hot Dog has the same shape and diameter of a child’s upper airway resulting, if not eaten correctly, to form a plug, completely sealing off the upper airway, right above the vocal chords!!! Whatever prevention measures we take risk never stops to exist it’s only limited by the extent of the actions taken, this as we all know is the basic principle of risk management. Actions taken on a Choking Incident when the obstruction of the airway is complete and the victim cannot breath: Call 112 (international emergency number) and then use LifeVac immediately. And as the minutes pass and the victim cannot breathe, it faints from lack of oxygen resulting to Cardiac Arrest.